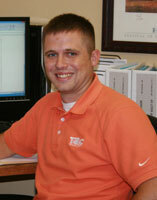 Zac has been with T&C for 3 years, starting on the production floor before moving to estimating, sales, and scheduling. He has been active with the Missouri National Guard for the past 4 years, enjoys time with his 2-year old son, and playing or watching any sport that involves a ball. 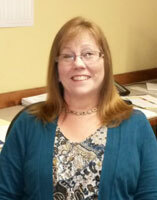 Dave started with T&C in 2012, and has been in sales and sales management for over 25 years. He is an avid golfer, enjoys watching his kids participate in athletics, and spending time at the lake cooking barbecue for family and friends. 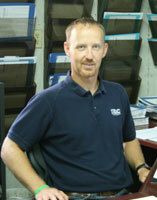 James has been with T&C for over 14 years in a variety of roles, including warehouse, quality, and project management. 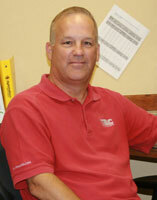 He spends his free time coaching and watching his kids’ various sporting events, and playing golf when time allows. Tawana is the newest member of the T&C team, and has been in the stainless steel tank industry for 14 years in a variety of roles, including Field Service Manager, Project Management, Quality Control, and Safety Director. She spends her free time with her husband and family and loves anything outdoors.